It seems hardly any time at all since Riverdale was the show of the moment. My friends and I would frenziedly message during each episode, social media was filled with GIFs and I read countless theories about the identity of Jason’s killer. Now, any discussion of Riverdale is precluded with “I know it’s terrible, but…”. 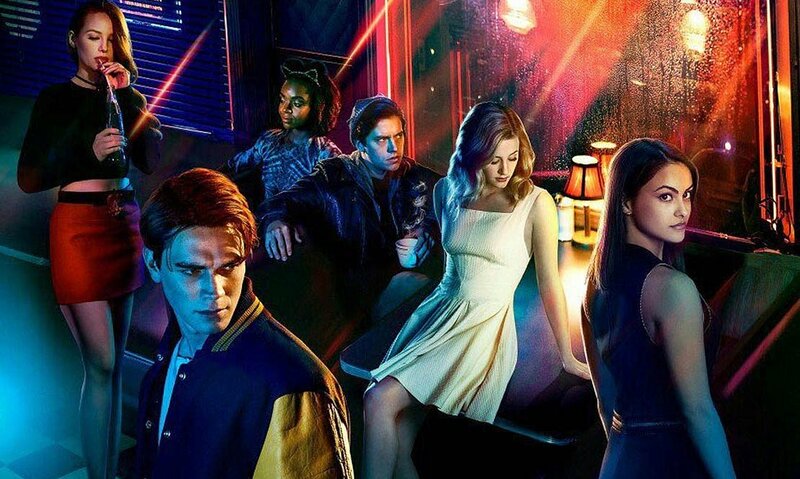 The show has fallen from its heights of popularity, but how could Riverdale regain some of its former glory for a third season? The main problem with Riverdale is that it is filled with unrealistic plot twists without the parodying self-awareness to make it feel fun rather than ridiculous. So far this season, the show (spoiler alert) has had a self righteous serial killer, blackmail, prostitution, a mob-family, a psychopathic lost-brother and, now, the cover up of a murder. This could be fine if not paired with serious music, pretentious dialogue and dark cinematography, all of which suggests that we’re meant to be taking this very seriously. I would be tempted to recommend that Riverdale stop with the melodrama and focus on the more ordinary dramas of teenage life, but the show has perhaps drifted too far from realism to ever come back. Instead, if the show accepted its existence as a guilty pleasure, and maybe even add comedy into the mix, it could be fun again. The success of a show often seems dependent on the popularity of its main couples; Riverdale started on a high with the immediate adoration viewers felt towards Jughead and Betty and the constant speculation about other possible couples. Sadly, the once-intriguing relationship dynamics have sunk into repetitive predictability in which the pairs break up for unconvincing reasons, and yet, seem even more dull when together than when apart. Relationships are interesting, but Riverdale seems incapable of exploring the intricacies of modern teenage dating. If the show were to investigate the other potential pairings that were teased in the first season, or used their secondary characters to better effect, they could reinvigorate the romantic appeal that the show initially held. In the run up to Riverdale’s release, people were hopeful that Jughead’s asexuality, which is canon in the comics, would be made explicit in the television show, as suggested by Cole Sprouse himself. Then, when Betty and Veronica kissed in the pilot episode, queer fans were excited by the possibility that the frenemy relationship could be reimagined into a romantic one. Instead, all of the protagonists are settled into conventional heterosexual romances and, despite constant hints from writers, representation of other sexualities remains sidelined in the actual show. The few figures we do have are uninteresting; Kevin fulfills every stereotype of the sassy gay best friend, whilst Toni’s fleeting reference to her bisexuality without any follow up suggests it was only included as a way of pandering to fan demands. If the writers created interesting plots that acknowledged the diversity of their cast, as they briefly attempted with Kevin’s cruising plot, and developed the sexuality and race of their characters beyond fleeting allusions, the show would demonstrate its capacity to be not just be an inferior version of other teenage shows, but rather one which reflects the reality of teenager’s lives in 2018. There is always an audience for shows about teenagers and drama, and I, amongst many others, want Riverdale to be able to fill this spot in my TV schedule as 2018’s answer to One Tree Hill or Gossip Girl. It may be a far way off from its potential right now, but only a few tweaks to its plot for Series 3 could allow it to reinstate its initial place in viewers’ hearts. Riverdale Season 2 is available to watch now on Netflix.